In the category “cosmetics” I will share with you my homemade vegan beauty products for skin and hair. The skin is our largest organ and our first line of defense. What we put on our skin is just as important as what we put in our body. In my opinion a plantbased wholefood diet is very important for our overall health and helps to keep the skin hydrated and glowing. But there is more to it. We also need to take good care of our skin and treat it well from the outside. About 60-70% of what we put on our skin is being absorbed. Yes absorbed, it enters our blood stream and using cosmetics that contain parabens and other chemical ingredients can be therefore dangerous for our health. You might have heard that only drugs taken orally can effect our health, but that’s not true, just think about these nicotine and birth control patches, the active substances enter the blood stream, there is no doubt about it. I am a certified cosmetician and I was working with skincare products of popular companies during my training. Only years later I started to experiment on my own and began making my own cosmetic products at home. I love to be creative and to use mainly natural ingredients in my homemade cosmetics. 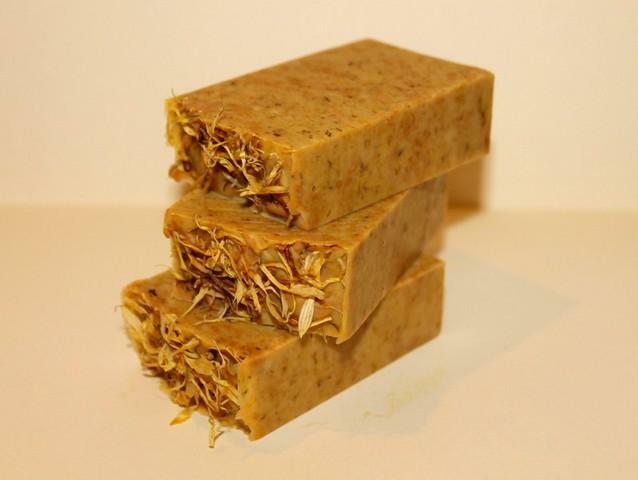 On my page you will find recipes for soaps (like these homemade calendula- and soaps above), shampoo, tooth powder, anti aging gels, moisturizer, makeup remover, whipped shea butters and deodorant, all made with mainly natural ingredients, like herbs, clays, oils, vitamins and essential oils. A bright, glowing and youthful skin signals healthy and vitality and defines much of our standard for beauty. Proper treatment with natural ingredients can make your skin glow and look fresh and bright. 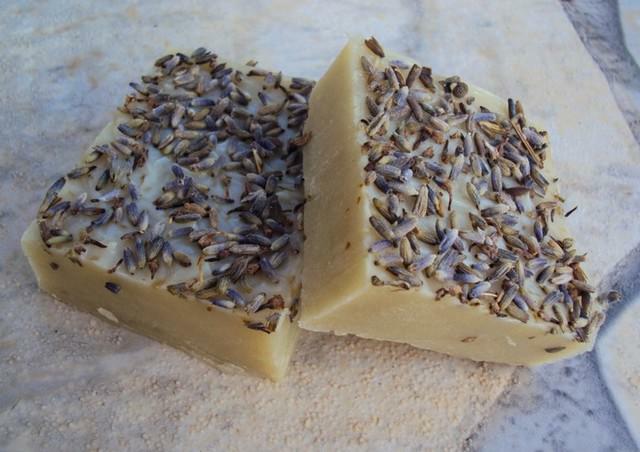 My homemade vegan beauty products can be found here.